Najma's culinary delights are brought to life in our home kitchen in South West London. Using locally sourced produce and freshly ground spices, we have created a select menu featuring some of the finest Indian dishes with elements of fusion style cooking. We offer bespoke buffet catering for small home parties or larger events as well as a weekend home delivery service. All our dishes are freshly cooked to order, prepared with meticulous care and delivered straight to your door or chosen venue. You will find Najma's hot food stall trading at local artisan markets and events within the London Boroughs of Merton and Kingston. For up-to-date details on where to find us, please visit our Markets & Events page. 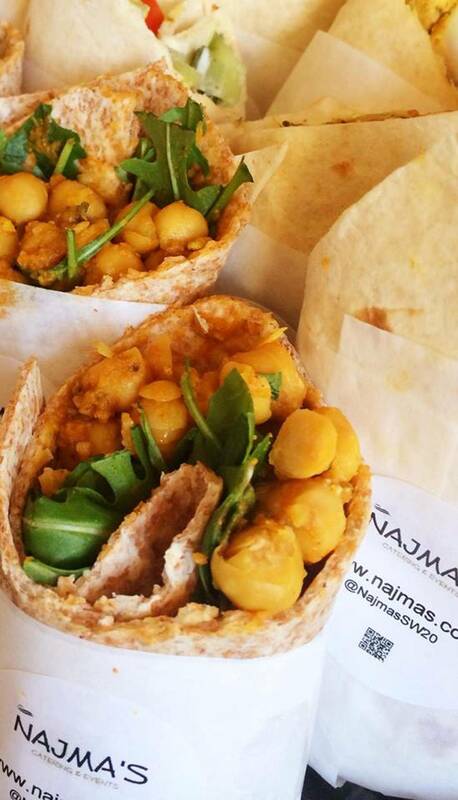 In the summer of 2013, Najma's launched it very own small Cookery School based in Raynes Park. Teaching from her home kitchen, founder of Najma's, Shermin holds small, hands-on Indian cookery classes in her home kitchen where she takes you through the methods of preparing traditional Indian home recipes.